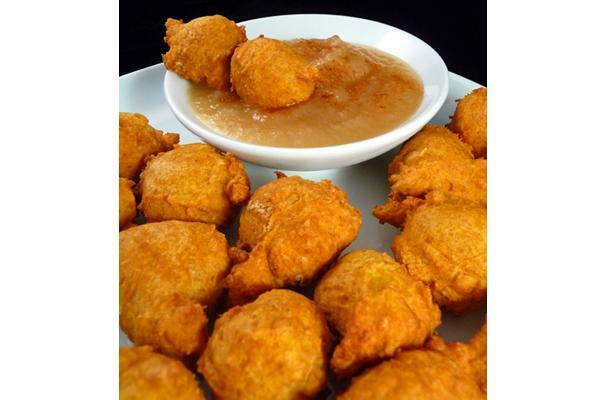 Curry pumpkin fritters from Dunkin Cooking the Semi-Homemade Way are a sweet and spicy appetizer. Pumpkin puree is combined with flour, eggs, and curry powder to create a thick batter that is then deep fried. Depending on how sweet you like your desserts, you can roll these fritters in cinnamon sugar straight out of the fryer or simply serve them in a yogurt-honey dipping sauce. They are also great with ice cream.